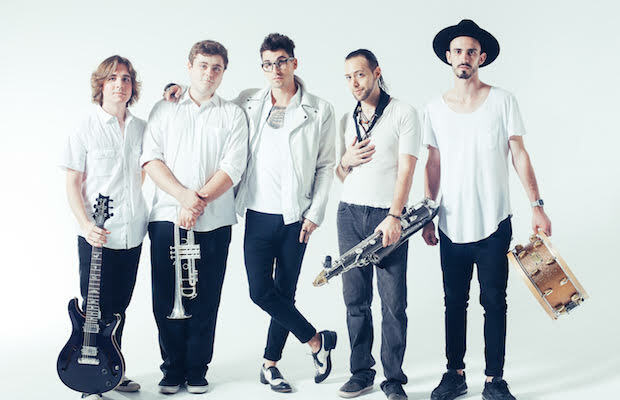 A few weeks back, we told you all about local funk rockers Joel & the Gents, and exclusively premiered their latest single “Bad Love,” a track about a person who’s just bad news (read all about the song, the band, and singer Joel Heumann right here). Today, we’re beyond excited to also premiere the official music video for the single! Shot and directed by Carl Diebold, the vid takes place in downtown Nashville, with Joel & the Gents performing inside one of those clear ad trucks you’ve surely seen driving around (and likely daydreamed about just such a scenario). It’s a very cool concept and a lot of fun to watch, so give “Bad Love” a spin after the jump, and find out way more about the band right here!